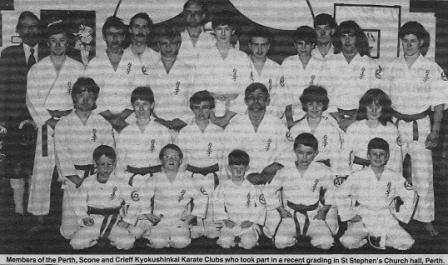 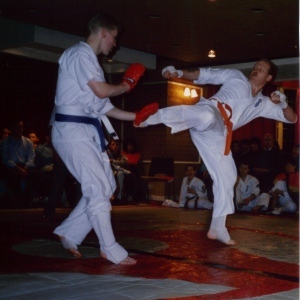 Kyokushin Karate started in Scotland in 1983 when Shihan Marlborough converted the Perth, Crieff and Scone Shotokan clubs to Kyokushin. 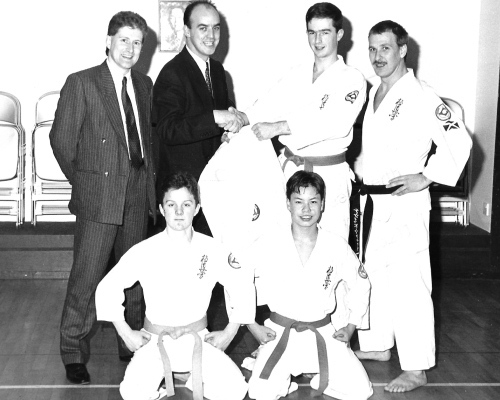 The first ever Kyokushin grading in Scotland took place in June 1984 and was was taken by Sensei Grant Kinnaird. 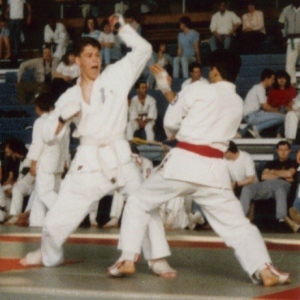 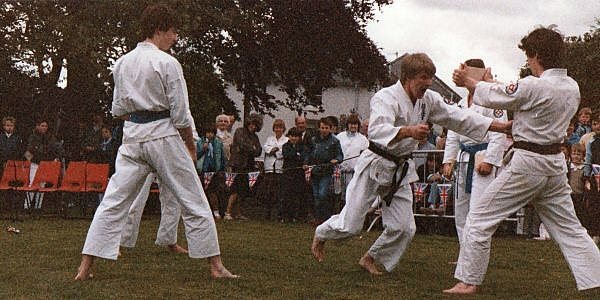 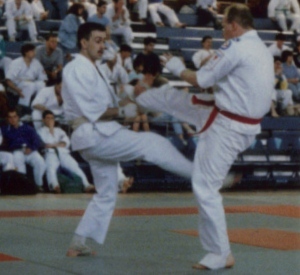 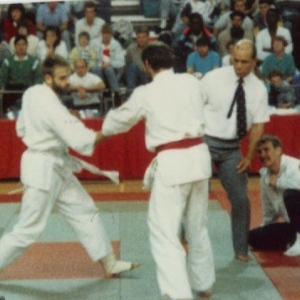 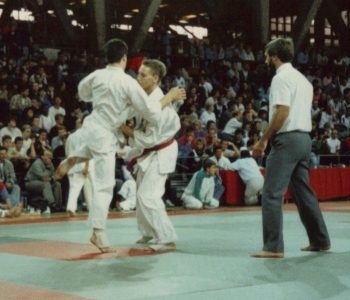 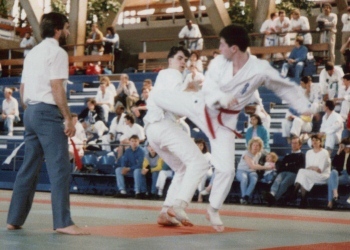 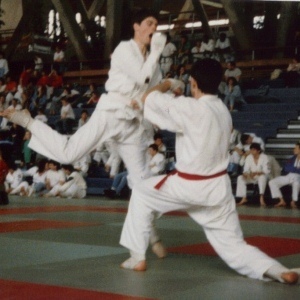 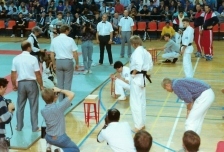 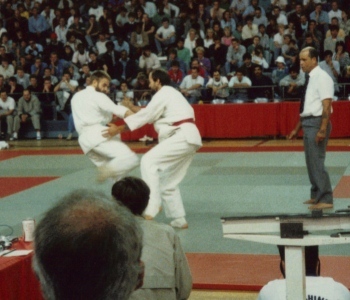 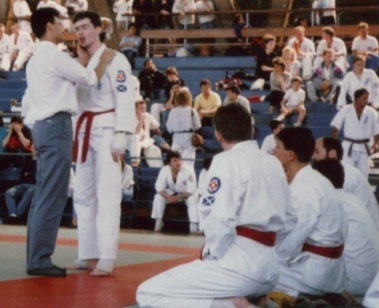 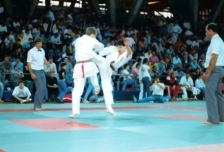 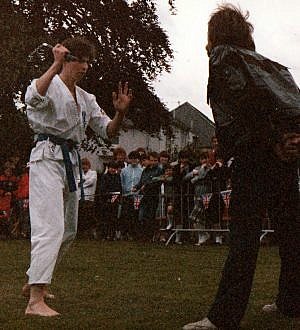 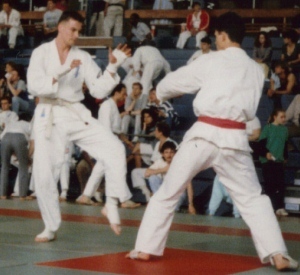 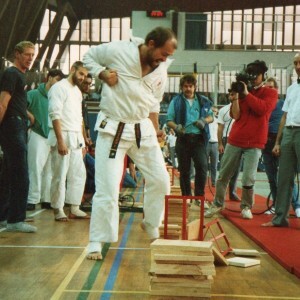 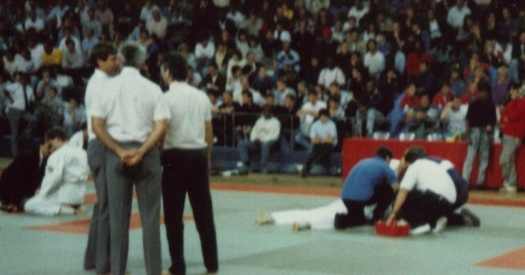 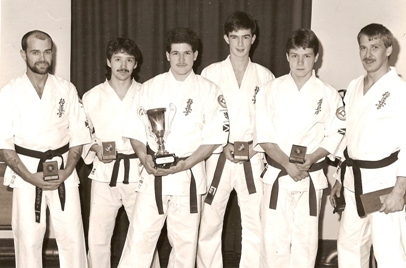 The first ever tournament success came in 1985 when Lois Di Marco from the Crieff dojo was placed 3rd in the British Open in the lightweight category. 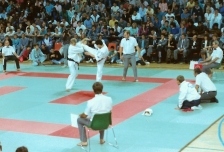 This feat was then repeated in 1986 and 1987 by Derek Halley. 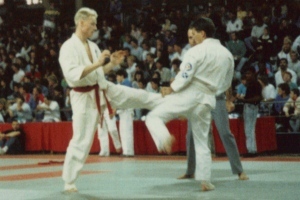 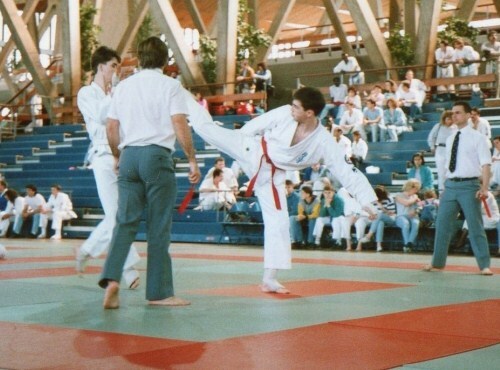 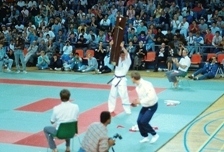 Derek also won the most spirited fighter award in 1987. 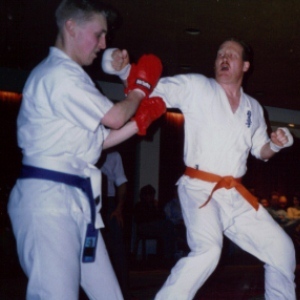 Derek has been Scotland's most successful senior fighter and also won the lightweight category in an international competition in France in 1989 between Scotland, England, Wales, Holland, Belgium and France. 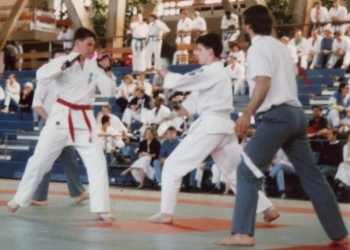 In September 2007 two juniors from the club, Eamon Cramb and Kelly Watt, became the first juniors to represent Scotland when they fought in a European Junior Knockdown Competition in Germany. 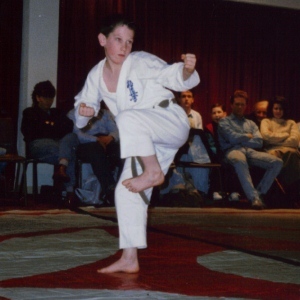 Eamon has been the most successful Scottish Junior fighter. 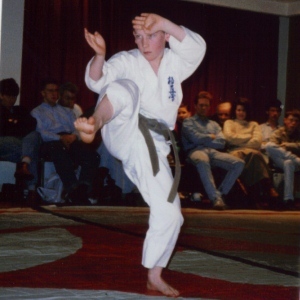 In 2008 he won the British open 16 - 17 Boys Knockdown Title, the English Open 16-17 boys Knockdown title, the English Open boys most spirited fighter, the British Open fastest Knockdown in seven seconds. 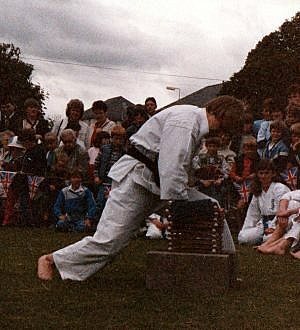 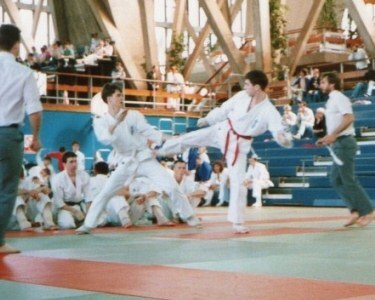 He was also second in the English boys open Clicker and Kata competitions. 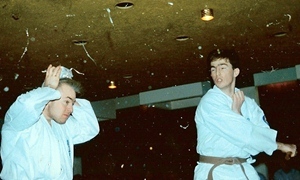 In August 2009 Shihan Martin represented Scotland when he fought in the World Senior Tournamant in Japan. 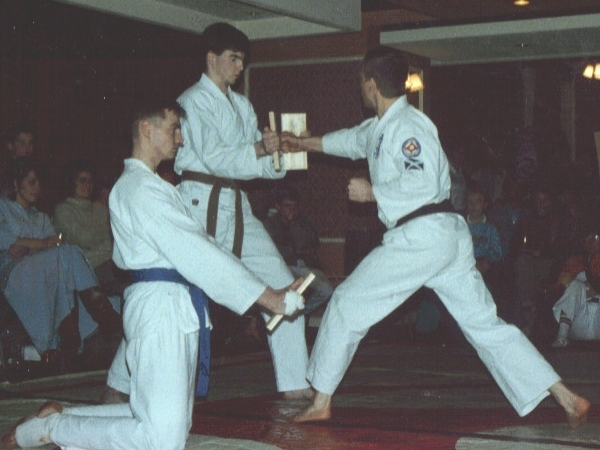 Eamon Cramb represented Scotland in the same tournament in the boys 16-17 category. 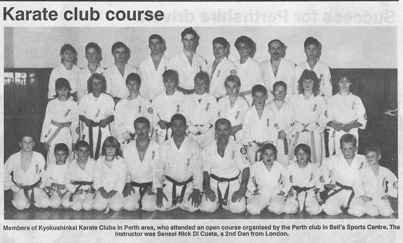 2010 was a great year for the club. 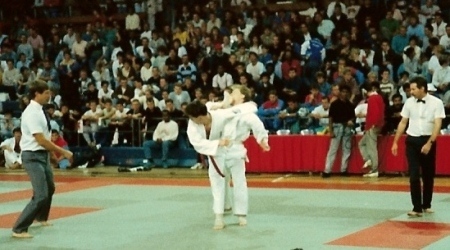 Eamon Cramb won the Heavyweight knockdown title at the British Open. 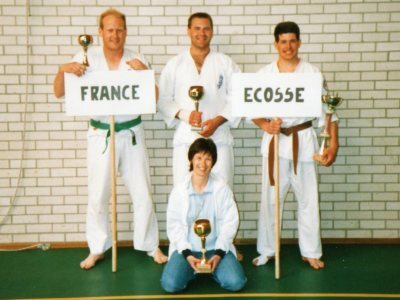 At the same tournament Brian Crighton was second in the Men's Kata and Lisa Alexander was third in the Women's Kata. 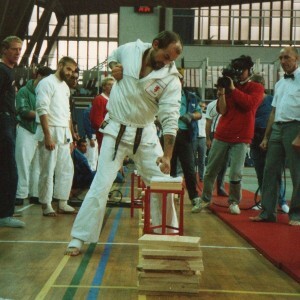 Also in 2010, after 2 auditions, the club got to the last 200 in the TV show "Britain's Got Talent". 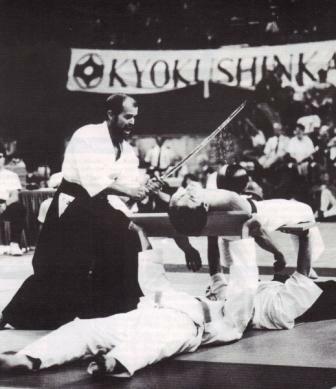 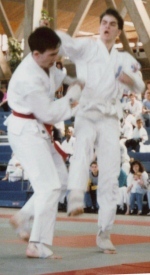 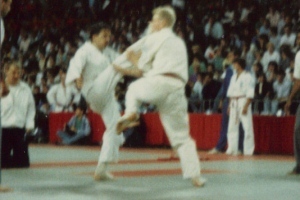 Shihan Martin was also awarded 6th Dan by Kancho. 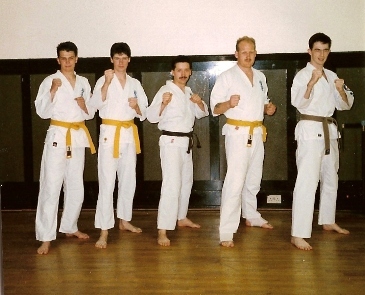 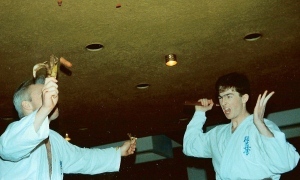 In 2011 three students from Scotland passed their Nidan grading. 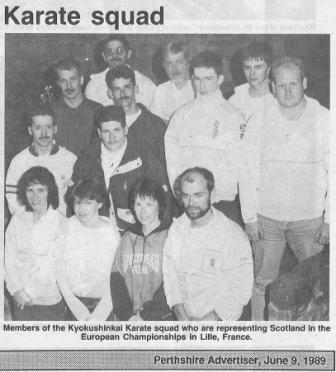 Up until 2011 Scotland hosted the annual IKO British winter camp each January which atracted students from all over Britain and some students also attend from countries further afield. 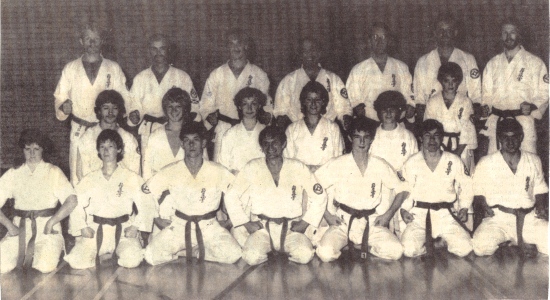 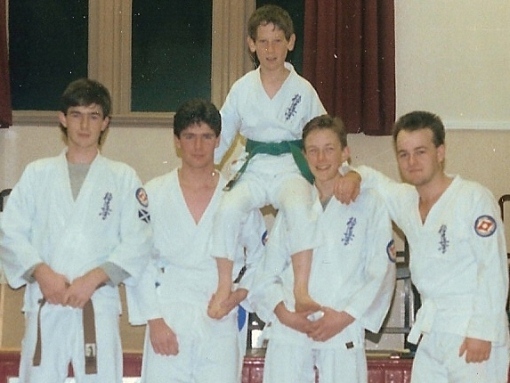 The Scottish dojos have trained over 20 students to Black Belt level since 1984. 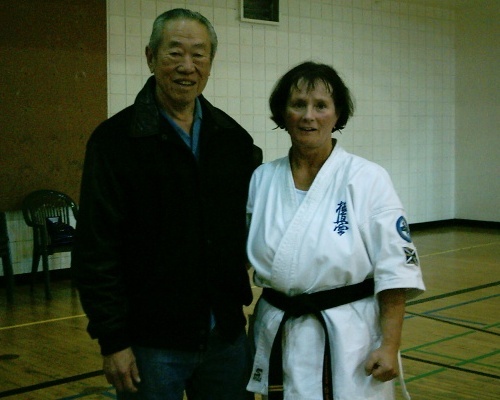 An outstanding achievment for Shihan Martin ans Sensei Belle. 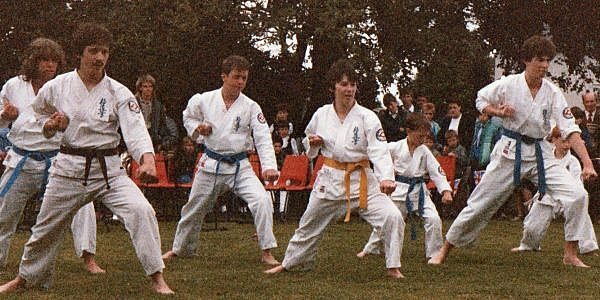 Today the club is run out of the Perth Dojo at Inveralmond, which opened in April 2013, with 6 regular attending black belts.